Nursing has and continues to be a dependable career choice. For decades, the Bureau of Labor Statistics has projected an employment rate that has consistently been faster than the average of all occupations. In the most recent Occupational Outlook report, the BLS projected a 15% growth in employment from 2016 to 2026. The associate degree in nursing (ADN) remains the minimum educational preparation for licensure as a registered nursing. Many RNs who took this route to practice nursing are returning to school to obtain a Bachelor’s of Science in Nursing (BSN). The proliferation of the online RN to BSN program in response to demand means the time is ripe to enroll and improve your career outlook. Your decision to return to school may be prompted by an employer’s request, uncertainty of the direction of nursing, a desire to pursue graduate study, or to qualify for a position in management. Whatever your reason, the flexibility of the online RN to BSN will let you pursue your goal without sacrificing your work or family commitments. Before making such an important decision, first determine your stance on more education for nurses. If you have the right approach, you’ll improve your chances of success. Changes in the healthcare industry will affect how and where you practice. One way to leverage the industry trends is to use the degree to set and accomplish new career goals. Many nurses, comfortable at the bedside, do not have any aspirations for management. However, with the BSN, the sky is the limit. Instead of relying on suppositions or contrasting viewpoints on the web, you should interview other nurses about their experience. Experienced nurses, who went back to school still having doubts about the program, have realized unexpected benefits in the BSN program. 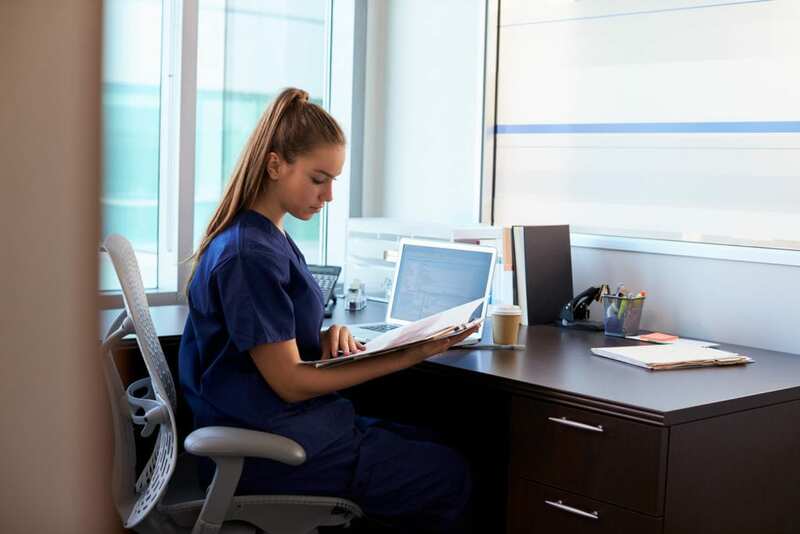 According to a National Student Nurses Association (NSNA) recap of several studies, nurses who went back to school expressed a surprising change in their reasoning abilities, skills, and perspectives on nursing practice after completing the BSN program. One of the greatest barriers to going back to school for most nurses have been negated by the online delivery of the BSN completion program. The flexibility in scheduling and internet delivery of the required theory remove the biggest challenges to continued learning. Interactive sessions, peer and faculty support, and tuition reimbursement will also but eradicate any further hesitation of going back to school. After weighing the factors surrounding the push for better-educated nurses, you might have a positive mind and firm purpose to make the most of the BSN requirement. However, if you’re still undecided, the following reasons might help seal the decision. The recommendation for improving the education of the nursing workforce is not to condemn ADNs. The nursing industry will not be positioned to deliver the extent of care that it does without the contributions of these committed professionals. 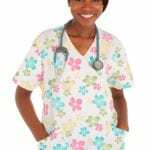 Moreover, the existing shortage of nurses poses a challenge to the industry that would have be even more worrying were it not for associates degree programs producing a constant pool of nurses to work in hospitals and other healthcare facilities. Keeping that in mind, the complexity of care demands that nurses take more initiative in practice. They must empower patients and their families in ways that will boast outcomes. Offering counsel and support that will allow safe transition from the hospital to their homes. Nurses are doing more to fill roles traditionally reserved for the physician. From giving discharge instructions to medication reconciliation and one-on-one engagement with patients over the phone, nurses must have the communication, leadership, collaboration, and organizational skills to complement their natural warmth and hospitality. Another challenge for nurses in the complex care environment is the management of high-risk patients. The emphasis on community health in the bachelor’s program teaches nurses how to promote healthy living to reduce the volume of patients admitted to the hospitals. To achieve this goal, nurses are going into communities to offer counsel and reduce the dependence on medical services and teaching family members how to manage health conditions. Nurses also have a leading role in patient satisfaction, which is closely tied to health outcomes and hospital readmission rates. Patient satisfaction directly shapes the way the health care facility operates, especially as Medicare and Medicare reimbursement depends on the patient’s experience. While patients interact with various healthcare workers during their hospital stays, registered nurses most directly influence their experience. Nurses must not only care for, but also engage and demonstrate commitment to the patient’s recovery. The BSN curriculum emphasizes the importance of nurse engagement and its critical link to patient experience. Healthcare providers value patient satisfaction as a critical component of healthcare delivery. In this information age, patients are not afraid to challenge providers and take their business to those who meet their heightened expectations. Apart from the financial incentive, hospital employers want positive patient outcomes to sustain their longevity in care. In 2010, the Institute of Medicine highlighted the impact of positive outcomes on the future of nursing. It called for 80 percent of the workforce to hold a BSN by 2020 as a means of improving healthcare delivery. Nurses are responding to the call by enrolling in BSN programs to improve patients’ experience through the improvement of their practice. If you currently work in a Magnet hospital or one that is desirous of the obtaining the coveted status, the pressure might be on for you to enroll in the RN to BSN program. Hospitals achieve the status after demonstrating that they meet the requirements for patient safety, patient outcomes and satisfaction, and other standards. While the status may be beneficial for employers, healthcare professionals also stand to benefit. Nurses enjoy working in the environment where quality is central to the operation. To maintain their reputation, Magnet employers recruit the top talent and use incentives to retain their staff. If your employer is Magnet certified, you will likely receive reimbursement for your BSN tuition and earn a better salary after you graduate. Nurses seeking leadership roles in these hospitals must have a BSN as a minimum requirement. The bar has been raised in nursing. The RN to BSN program helps students develop critical thinking – a must have for every successful nurse. Critical thinkers choose the best solution when confronted with complex problems. More than that, they assess the solution – after the fact – to determine its effectiveness and if there is a way to improve upon it. When nurses face almost impossible situations, critical thinking will help guide the decision-making process to produce the best possible outcomes. It is a vital part of everyday practice – not just one-off situations. Their decisions could mean life or death for the patient. The BSN program supports the development of critical thinking. Students learn how to apply the nursing process in their decision-making. It includes assessing, diagnosing, planning, implementing, and evaluating. In most situations there may be many solutions, but nurses must be prepared to select the one that will produce the best outcomes. The demand for highly educated nurses has caused a drastic shift in hiring trends. A BSN will expand your marketability. Leading hospitals won’t consider a nurse with anything less than a BSN, so you’ll rule yourself out of the best positions if you don’t make a move towards the degree. Employers want nurses to think critically, evaluate and apply evidence, and implement changes where needed. A BSN’s competency extends to patient centeredness, patient safety, communication, cost awareness, and the use of information technology. A BSN also opens a world of opportunities. The future of nursing is centered in the bachelor’s degree. If you decide to pursue a master’s or doctoral degree to prepare for specialized care, a BSN is your ticket for entry. In the short-term, the BSN will open the door to the best jobs and salary, as employers will select the BSN from a pool for lesser-educated candidates. Through online delivery, the RN to BSN program gives nurses the flexibility to complete the BSN and broaden their career perspectives. Students will expand their skills in numerous areas, especially in evidence-based practice, communication, leadership, and critical thinking. In the final months of the program, students will work collaboratively with experienced faculty and healthcare organizations to design and implement practice experiences to develop confidence in their abilities to lead teams. Since the program is designed for working registered nurses, you must have an associate’s degree in nursing and an unencumbered registered nursing license. Graduates will be prepared to function as leaders, managers, advocates, coordinators, and designers of care. Full-time students can complete the requirement in one year. Part-time students can complete the BSN in 18 months to five years. The annual tuition for students enrolled in the RN to BSN program at public universities in Kansas is $10,104 per year for completing 32 credit hours. The estimated cost does not include books and supplies. Financial aid packages are available to eligible students.